A coat drive in 12 Division, run by the good people in the Police Liaison, the LEF, the TTC, and the TDSB, has given out more than 400 coats to chilly people in York South–Weston—including 100 kids. Now they’re looking for some hats, mitts, and scarves. If you have any you can donate, bring them by 12 Division, at 200 Trethewey Drive. Scarlett Heights Academy to close. Last June, the Toronto District School Board voted to close the Scarlett Heights Entrepreneurial Academy. The school sits just across the Humber, on Trehorne, near the Royal York Plaza and will usher out its last student next June. With only 221 students and room for 843, the school was only 26% utilized and had become an expensive hobby for TDSB. Even elementary schools would struggle to cope with such a tiny population and high schools are unable to provide a decent variety of courses with an average of only 55 students per grade. Students south of Eglinton will move to Richview C.I. while those to the north will will transfer to Kipling C.I. The school’s closure might be a tad premature because Plant World on Eglinton sold for squillions to Lanterra Developments and a large influx of new students might have materialized once the 1900 proposed homes are built on the property. (Five, 18-33-storey towers are proposed for the site – subject to an OMB appeal by the City). No matter, the kids will be moving and as a result of the Scarlett Heights influx, Kipling C.I. is exploring changing its name to reflect the two school communities. Richview Collegiate, former high school of Beatles impersonator, Stephen Harper…not so much. Suggestions for Kipling C.I.’s new name can be submitted using this link. Author Roy MurrayPosted on October 17, 2017 October 18, 2017 Categories News, SchoolsTags Plant World, Scarlett Heights Entrepreneurial Academy, TDSB9 Comments on Scarlett Heights Academy to close. The TDSB released a list of under-enrolled schools this week under pressure from Liz Sandals, the provincial Minister of Education. Politicians will now be forced to consider closing some of them. The good news: Weston schools are not threatened. The bad news: several in Mount Dennis are, as are schools that host recreation programs attended by Weston families. About 1 in 5 Toronto elementary schools has low enrolment, and about 1 in 3 high schools, does, according to the Globe. Not all of these schools will be closed, of course; the TDSB will consider—and try to punt on—each one. All five Weston schools (Pelmo, Memo, CR, CI, and HJ) have high-enough enrolment to miss the cut. Other area schools, though, are in danger. Boylen, Amesbury, and the Elms all host community recreation programs such as swimming. Weston public schools may have another kind of problem: over-enrolment. HJ Alexander is currently at 121% of its capacity. Pelmo is at 109%. 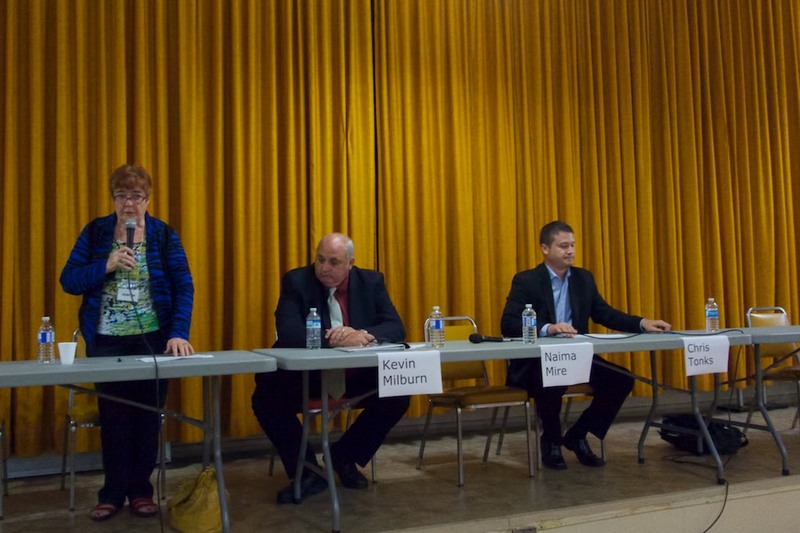 Last night, candidates for local Trustee and City Council squared off in the Mount Dennis Legion Hall on Weston Road. The debates were jointly organized by the Mount Dennis, Rockcliffe Smythe and Weston Community associations. The evening began with a debate between two of the five Public School Trustee candidates, Kevin Milburn and two-term incumbent Chris Tonks – for the benefit of about 20 people. The debate was cordial with the two candidates respectful of one another. Paralegal Kevin Milburn’s views on education seem to be mainly through the prism of his volunteer work at H.J. Alexander P.S. and says he has spent thousands of hours observing what goes on in the school calling it a model for others. Milburn was able to point to some of the recent scandals at TDSB calling the organization ‘somewhat dysfunctional’ and objects to having ’20 school superintendents all making over $100,000′. He feels that the board could get by with fewer superintendents, claiming that principals and vice-principals ‘don’t need as much supervision’ but instead they need mentoring. He also feels that there is too much red tape and insurance requirements getting in the way of community access to schools after hours. He would get rid of the Board’s permit program and use Toronto’s Parks and Rec to organize after school activities. His three top priorities are fiscal responsibility, student success and infrastructure repairs. Lawyer Chris Tonks feels that the solution to school excellence and low minority graduation rates is a ‘great principal’. Unlike Milburn, he believes that the Board’s scandals have been taken care of, ‘people have been terminated’. He would like to see all elementary schools revert to a JK – 8 format to foster greater student involvement and attachment. 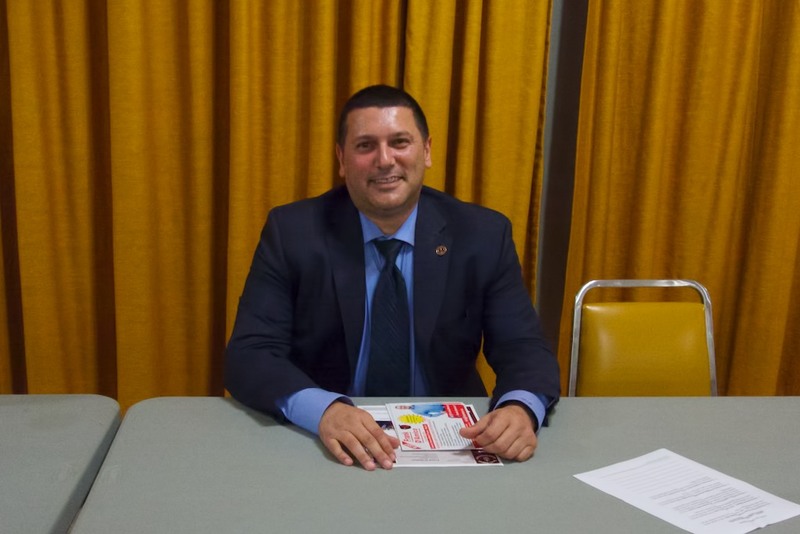 He agrees with Milburn’s criticism that it is more difficult for communities to gain access to schools after hours and offers the suggestion that other levels of government should contribute to after-hours programs. He says that since amalgamation, boards have moved away from people and feels that ‘perhaps we should break down our Board’ into smaller components that would be more responsive to community needs. On the topic of fundraising, Tonks acknowledges the disparity faced by schools in a poor demographic area and allows that there is a need to find ways to increase funding for these schools. His three top priorities are financial integrity, investing in schools and after school programs. In between the trustee debates was the City Councillor debate which is dealt with in a separate article. At the end of the evening, only one candidate, Frank D’Amico was present for the Toronto Catholic District School Board Trustee debate so the format became question and answer. A serving member of the Army Reserve, 7th Toronto Regiment, D’Amico feels that funding is the number one issue facing the TCDSB. He feels that even though funding is supposed to be the same as that in the Public Boards, in practice, ‘We get a little bit less’. One of his fears is that if budget problems aren’t tackled, the Province might take over the Board’s financial affairs. D’Amico says he really enjoys being a trustee and visits schools in the Ward as often as he can as it helps him be better informed. On the role of trustees in advocating on behalf of parents, he feels that he should listen to parents, bring any issues to the board and report back. His top priorities are balancing the budget and ensuring that St. John the Evangelist school gets built. The Toronto Star reports that the TDSB is thinking of selling school land to developers to pay for renovations. One of the schools facing the loss is Pelmo Park in Weston. According to The Star, Pelmo may be forced to sell 2.9 acres of land—about one-third of its property. The proceeds would be used to put money into the board’s capital budget, which has been frozen by the provincial government. The school board says it has a $3 billion dollar capital debt and a $30 million capital deficit. Chris Tonks, our trustee, said that he was unable to discuss the particulars of the proposal until after the meeting tonight, but added “I am opposed to any severance and sale of Pelmo Park Public School green space if proposed. In any event, any recommendation by TDSB staff to sever land at any school property should be brought out to the communities that are impacted”. HJ Alexander, the elementary school at King and George Sts is a super school. It stands apart from most of the schools in Weston, which are struggling. 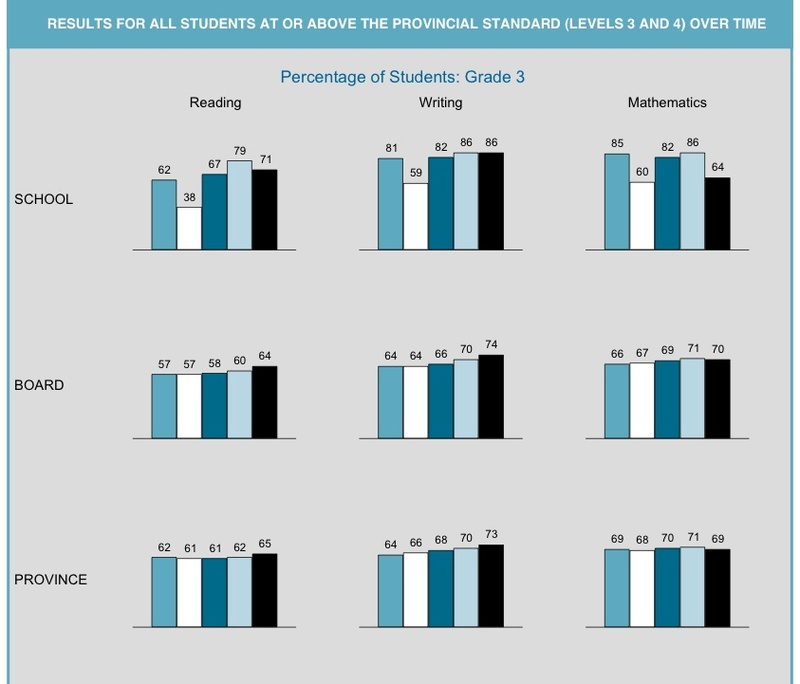 HJ grade 3 students did better than the provincial and city averages in reading and writing; 71% of students met the provincial reading standards at HJ, while only 65% of the province as a whole did. The results in writing were fantastic: 86% of HJ students could pass the test, compared to 73% of the province. In math, however, things were not so bright. HJ students fell behind their city and provincial peers. 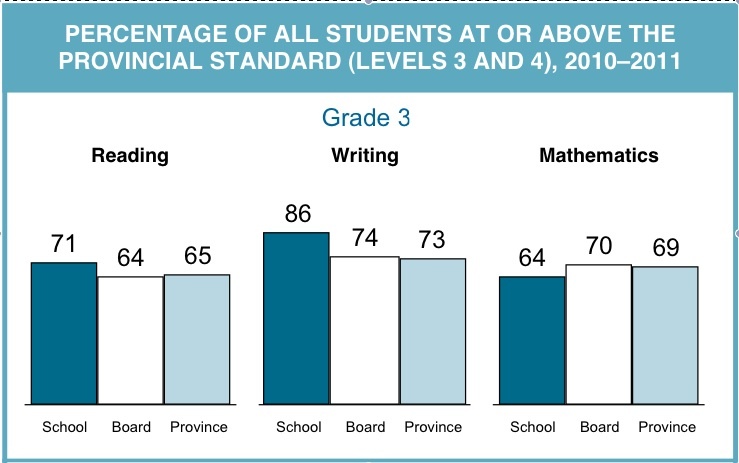 64% of the school met the standard, but 69% of the province and 70% of the board did. HJ has always done very well. HJ students have been better than their peers for four of the past five years in every category. (In 2007–8, they were not). This year, in fact, is a bit of an off year—the scores are down or even in all three categories, and below par in one.